This year has been a busy year for our clan culminating in a successful Gathering in Carlow of many Nolans from within Ireland and abroad. We would like to thank those who contributed to the Gathering’s success and look forward to many more of you joining us at our next Gathering in 2019. 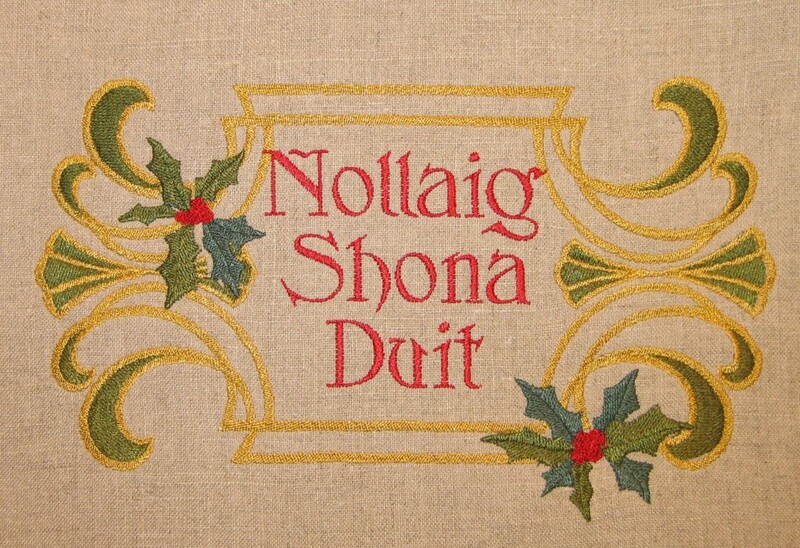 On behalf of myself, as the new Chief of the Clan, and all of the Clan Committee Members, I would like to wish all Nolan’s, Nowlan’s etc throughout the world a very Happy Christmas and Peaceful New Year. For anyone interested in obtaining a copy of the first Nolan book I am happy to report that Print-On-Demand copies of the first Nolan Book entitled “O Nolan – the History of a People” by Art Kavavanagh and Fr John Nolan are available via Amazon.com. Just enter “”O Nolan – the History of a People” in the search field. At the most recent Sports Emmy Awards ceremony (May 10, 2016), Katie Nolan won a sports Emmy Award in the Outstanding Social TV Experience category for her digital TV show entitled “Garbage Time with Katie Nolan” appearing on the Foxsports network (FS1/FoxSports.com ). other world events that still reverberate today: World War 1, the Russian revolution, the breakup of the Ottoman Empire, etc. This traumatic era split families and friends, allegiances. Nolans were no exception with members on all sides of the questions. The Nolan Clan reaches out to the worldwide Nolan diaspora and asks anyone reading this Blog posting and having information about a Nolan family member during the troubled 1916 time period to submit it for inclusion in the Clan’s historical archives. Many Nolan families have connections to events related to the Rising. We hope to hear from Nolans at home in Ireland or wherever else the winds have taken us. Many thanks to David and Orla Nowlan of Dublin for suggesting this project and for the fascinating story of David’s great, great uncle James Nowlan, first president of the Gaelic Athletic Association which played a significant role in the events leading up to the 1916 Easter Rising. You may add to the collection of 1916 era anecdotes by sending any information you might have either directly to myself (Chris Nolan ). The March 2015 issue of the Nolan Clan Newsletter has a fine introductory article on the use of DNA testing in supporting genealogical research, written by Ken Nowlan, a certified genealogist.